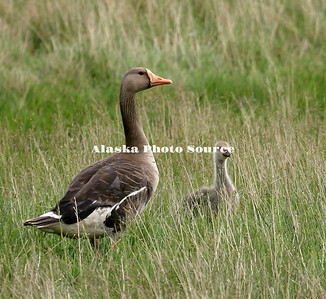 Greater White-fronted Goose with gosling, north slope meadow. 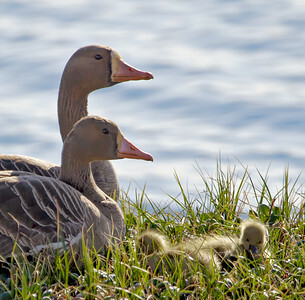 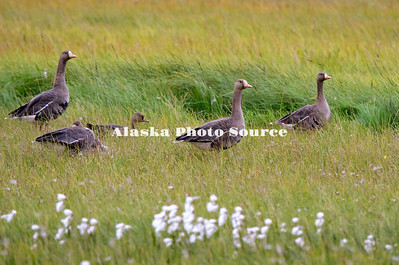 Greater White-fronted Geese grazing on the North Slope near the Beaufort Sea. Greater White-fronted Gees grazing on the North Slope near the Beaufort Sea.